Conceptual development for a group of characters that act as an entry point and guide through an English Language Arts curriculum for K-2 students. 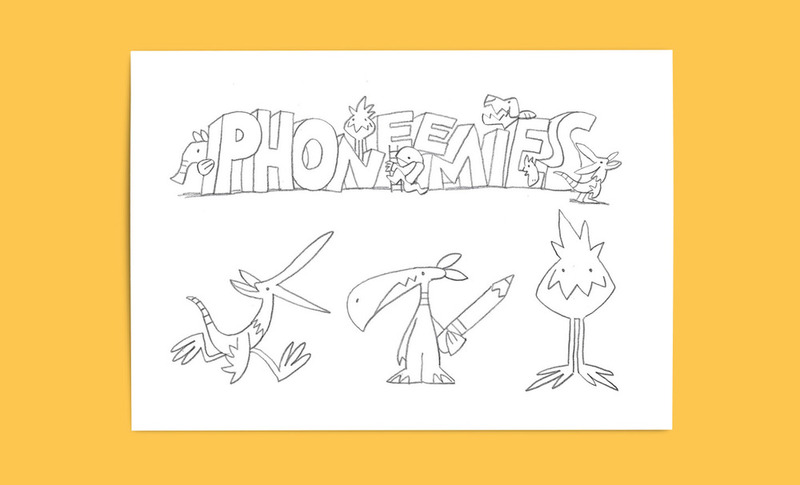 Phoneemies are shape shifting creatures that teach kids how to read. CKLA has a unique approach to teaching K-2 reading and writing skills. The primary organizing principle of the program is based on teaching sounds (or “phonemes”) rather than letters.